SRINAGAR: Dr Nirmal Kumar Singh, Speaker Legislative Assembly, met Governor Satya Pal Malik at Raj Bhavan today and congratulated him for peaceful conduct of Urban Local Bodies elections results of which were declared yesterday. 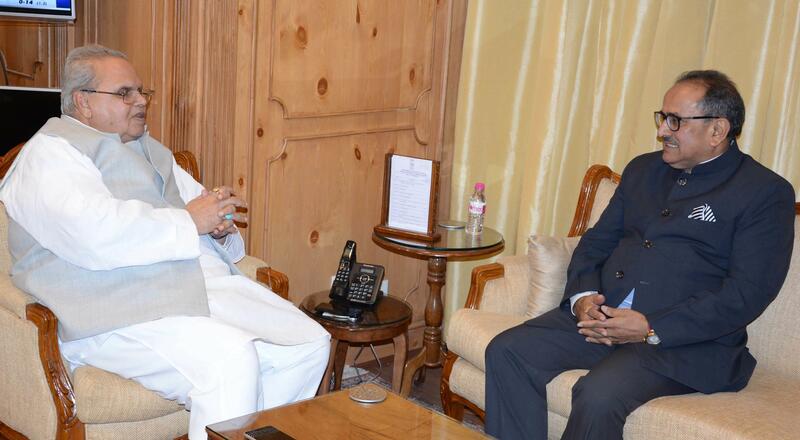 The Governor and Dr Singh discussed the overall situation obtaining in Jammu & Kashmir and the steps required to be taken for ensuring rapid socio-economic development of the State. Besides, the steps needed to be taken to strengthen the institutions of local self-Government were also discussed.